This region of Germany, referred to as Luther Country, is located in what was once known as East Germany. Since reunification in 1990, many of the scenic towns and villages have come to life with tourists from around the globe as these destinations are home to some of the world’s most significant cultural contributions to music, literature, art, architecture, and theology. 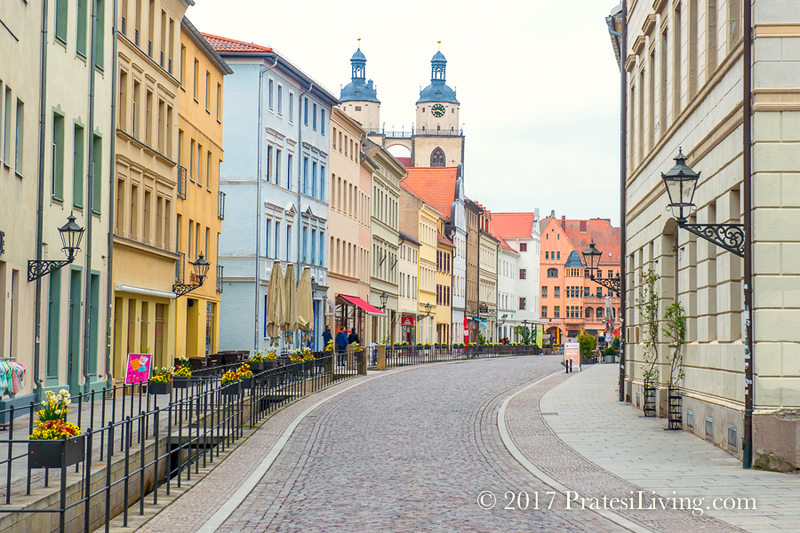 As we headed southwest into the countryside, after a 2-night stay in Berlin, we were greeted by picturesque medieval towns and villages with parks and gardens, storybook castles and palaces, stunning landscapes with forests, and well-preserved artifacts and documents with over a thousand-year history. 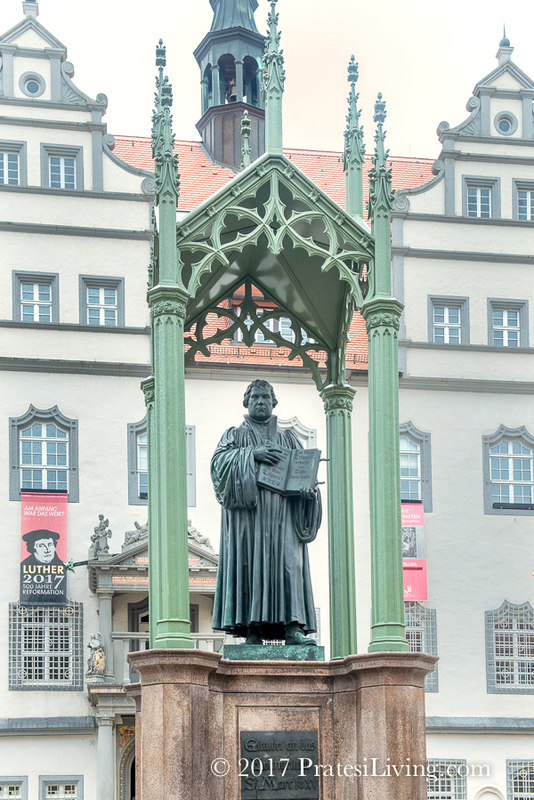 One of the best-known figures from this part of Germany is Martin Luther, the famous theologian who provoked and led the Protestant Reformation in 1517. The trail and accomplishments of his life, from birth to the time of his death, can be traced throughout the region. And this year marks the 500th Anniversary of the Reformation, so there’s no better time to travel to Luther Country. With special exhibits, events and festivals, and added infrastructure to support the influx of tourists, it’s the perfect time to plan your trip. Luther Country is also very affordable, more so than other parts of Europe, especially with the strong US Dollar to the Euro exchange rate. 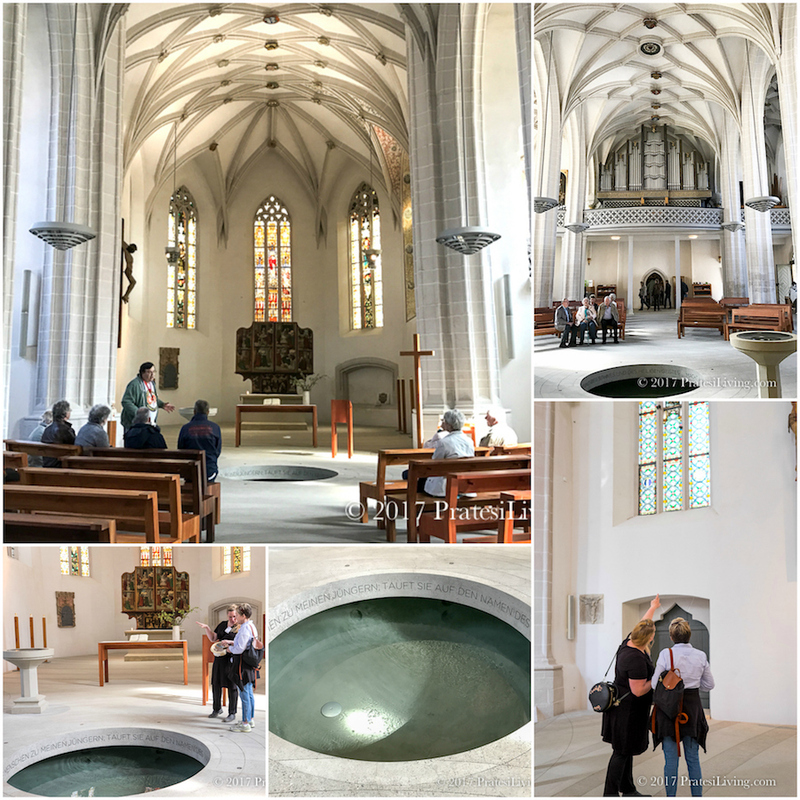 Luther pilgrims have flocked to this part of Germany for hundreds of years for religious pursuits, however, many travelers, particularly Americans, have never considered exploring this beautiful region of the country. Perhaps it’s the uncertainty of visiting destinations not well-publicized or possibly the images of the former GDR (German Democratic Republic) and life behind the Iron Curtain under Soviet rule from history books and film documentaries, but whatever the reason, the former East Germany has had few American tourists, compared with visitors from other countries. We were astounded at the statistics as this is a fascinating and beautiful place to travel to. There is also a renewed vibrancy, especially with the younger generations, and a strong-willed desire and spirit to move forward. 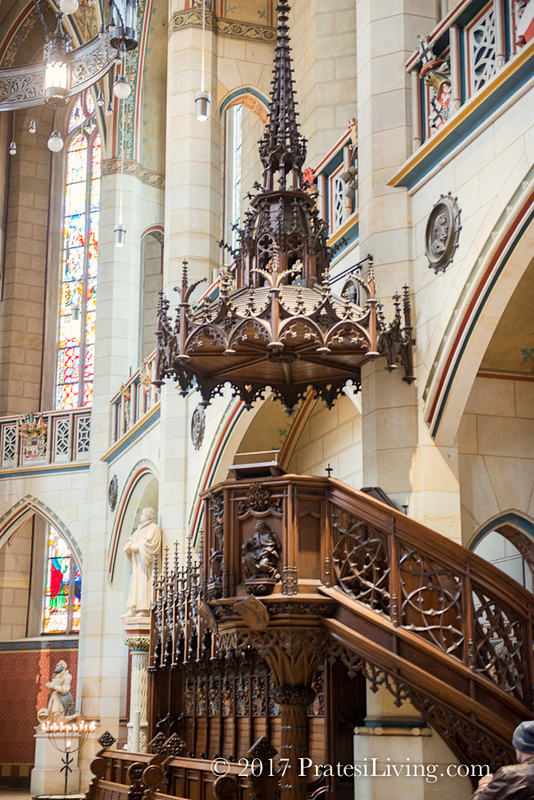 With a rich history, and yes, a complicated one, Luther Country is an extraordinary destination to visit with its many gifts and surprises the region has to offer. 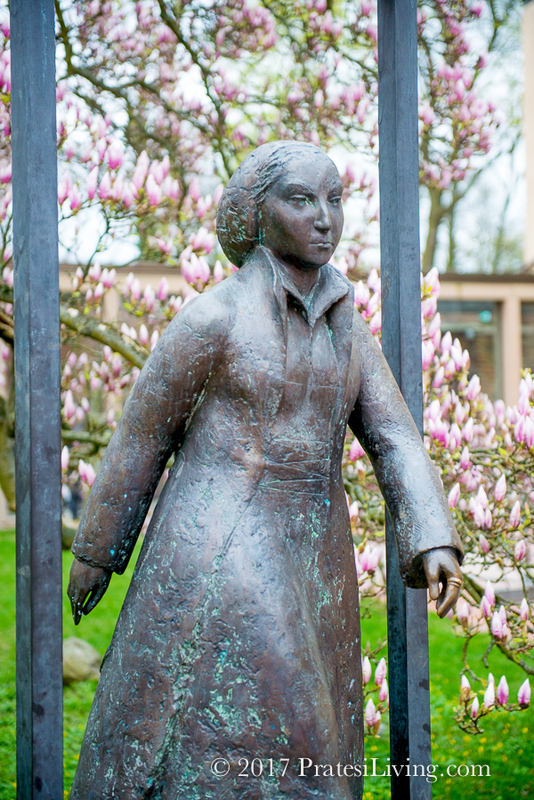 A visit to Luther Country is not just for those seeking to follow in the footsteps of Martin Luther. As we learned, there’s so much more to experience. Luther’s contributions to the world went far beyond the Protestant and Catholic churches of that time. 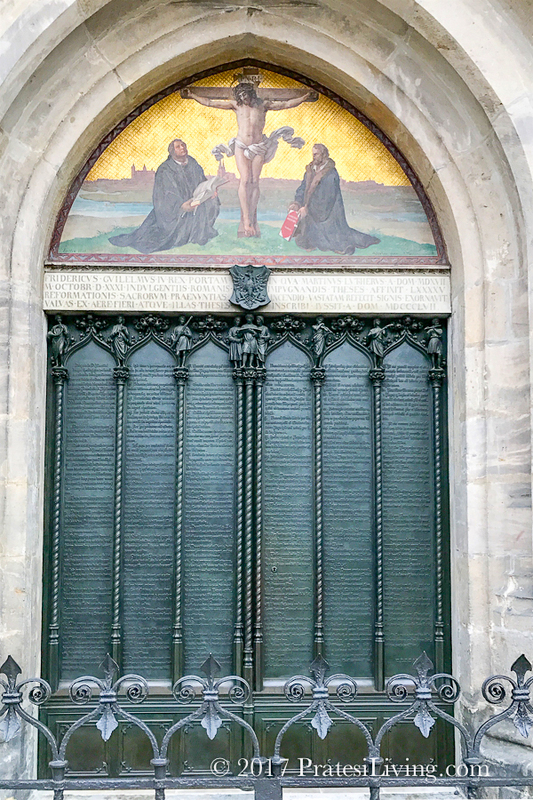 He not only altered the course of religion when he nailed his 95 theses on the door of The Castle Church in Wittenberg in 1517, but also changed mankind forever with a cultural revolution and a focus on education and promoting the self-worth of the individual in society. 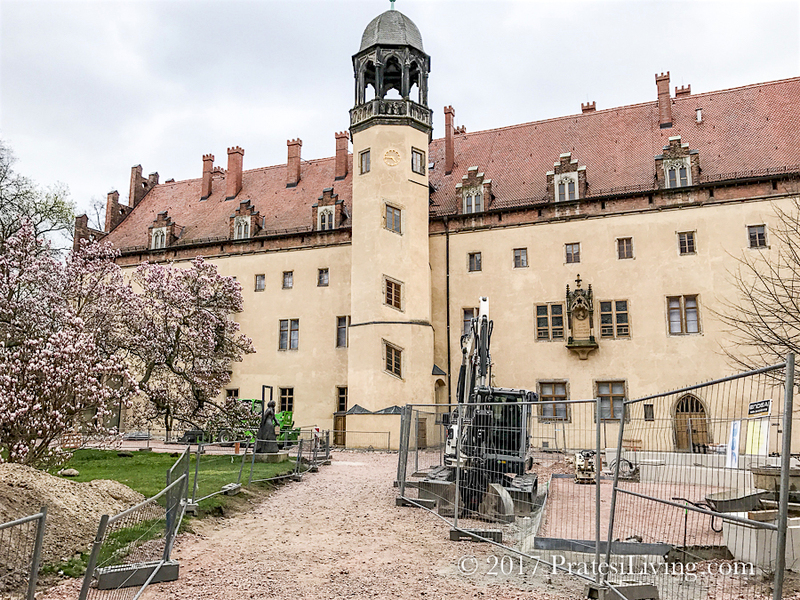 This set everything in motion to further develop the historical significance of the region as well as create a thriving environment for famous musicians and composers such Bach, Brahms, Liszt and Wagner and the poets Goethe and Schiller, the Renaissance painter Lucas Cranach the Elder, and the world-famous Bauhaus school of design. 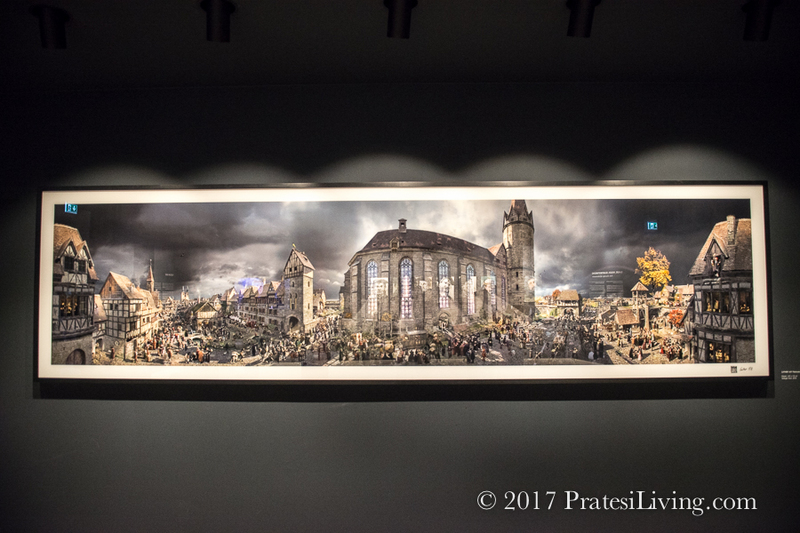 Our route through Luther Country began with a few days in the lively and vibrant city of Berlin. We’ll be covering Berlin in a separate article. If you’re thinking about a visit to the city, plan to stay at least several days, as it’s quite large and spread out with many different neighborhoods to explore. 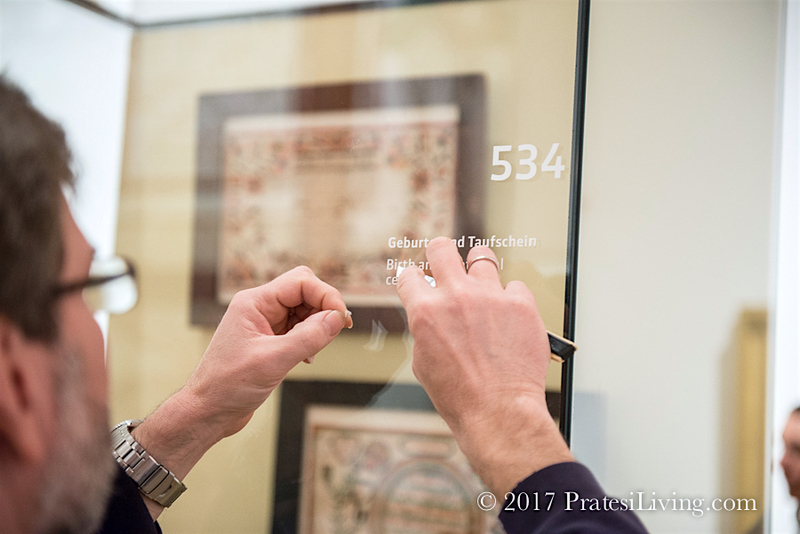 It’s the perfect place to start your Luther Country journey and while there, arrange to see The Luther Effect, an exhibit at Martin-Gropius-Bau that will run through November 5, 2017. We were given a preview tour while in the city and it was very impressive. 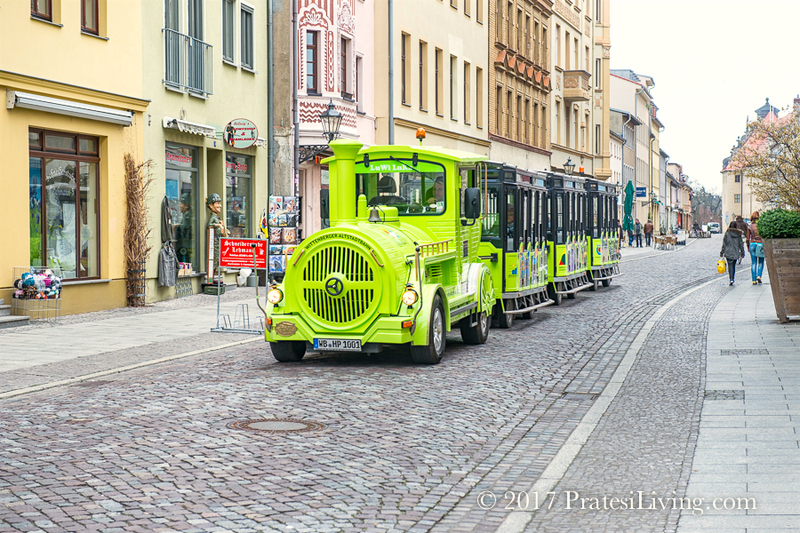 Following our time in Berlin, we then headed south, visiting six towns lying primarily in southeast and central Germany, beginning in Wittenberg. 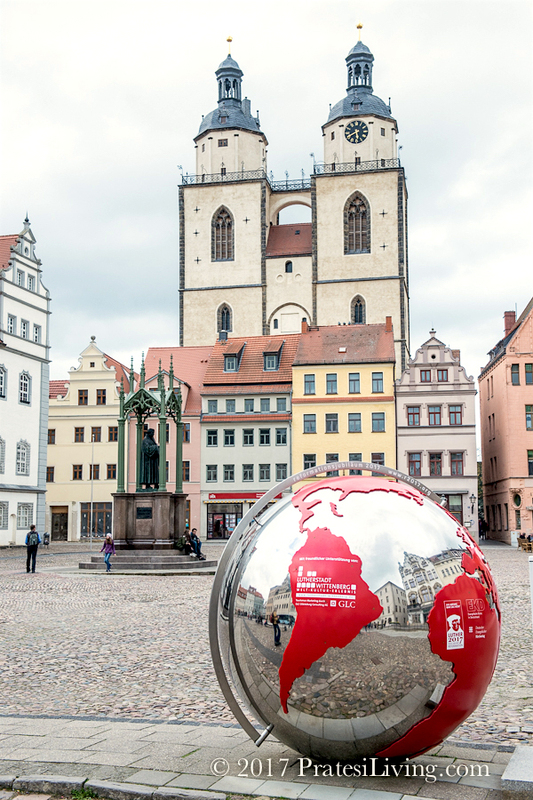 Located in Saxony-Anhalt and situated on the Elbe River, Wittenberg is a 1 ½ hour drive southwest of Berlin. 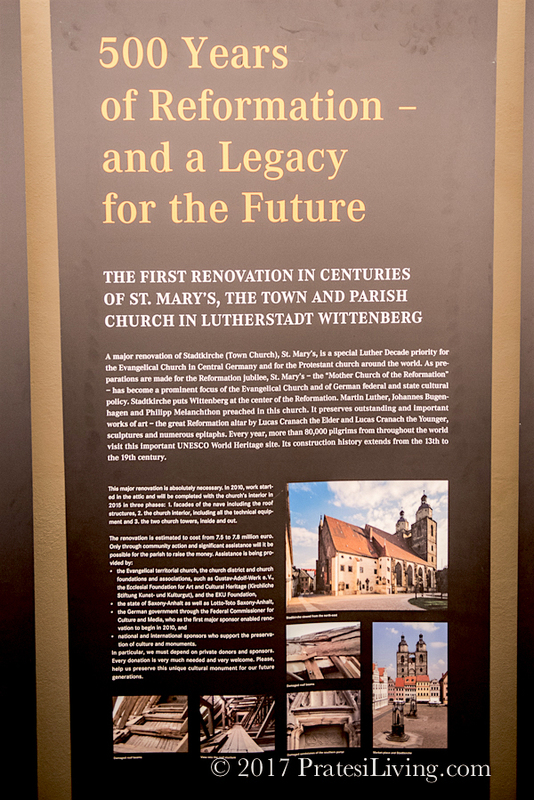 Spared from much of the damage of World War II, many of Wittenberg’s original buildings and churches remain today. 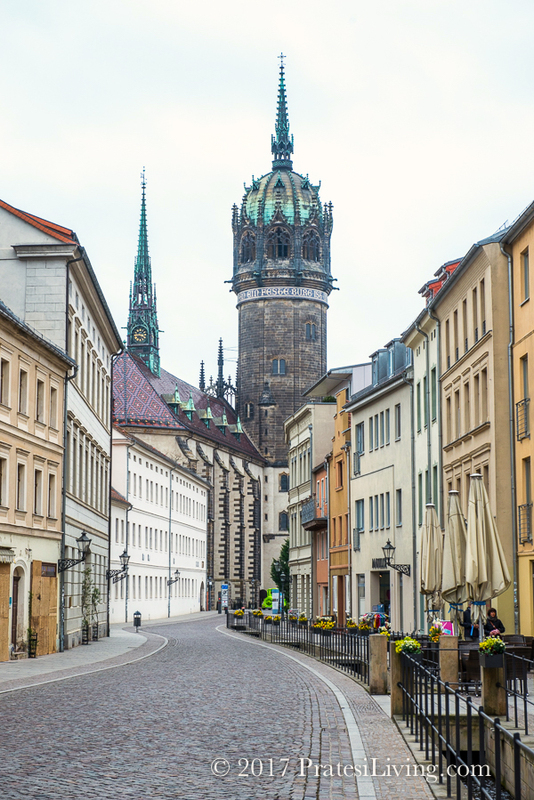 Step back in history to medieval times as you walk the cobblestone streets lined with colorful 16th-century houses and the pedestrian-only Collegienstraße and Schlossstraße. 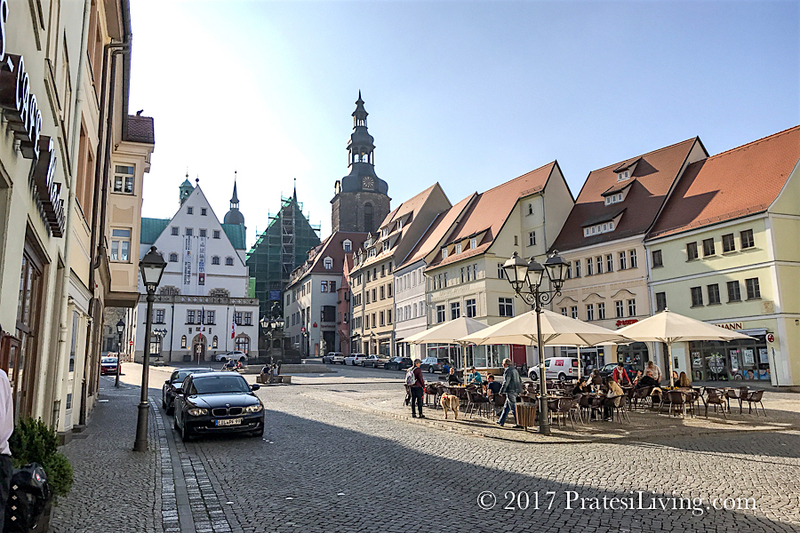 Visit Der Marktplatz (the market square), the main center of activity in town, where there are many restaurants, outdoor cafés and shops. And just behind the square, you’ll find St. Mary’s, the Town Church, with it’s late Gothic architecture and two tall mid-14th century towers that are visible from the historic center of town. 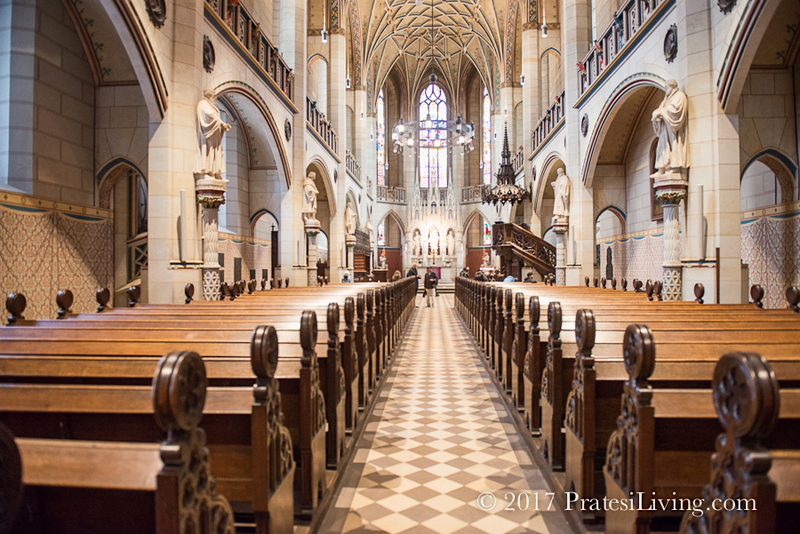 This is the church where Martin Luther preached his first sermon in public and is known to be the oldest building in Wittenberg. 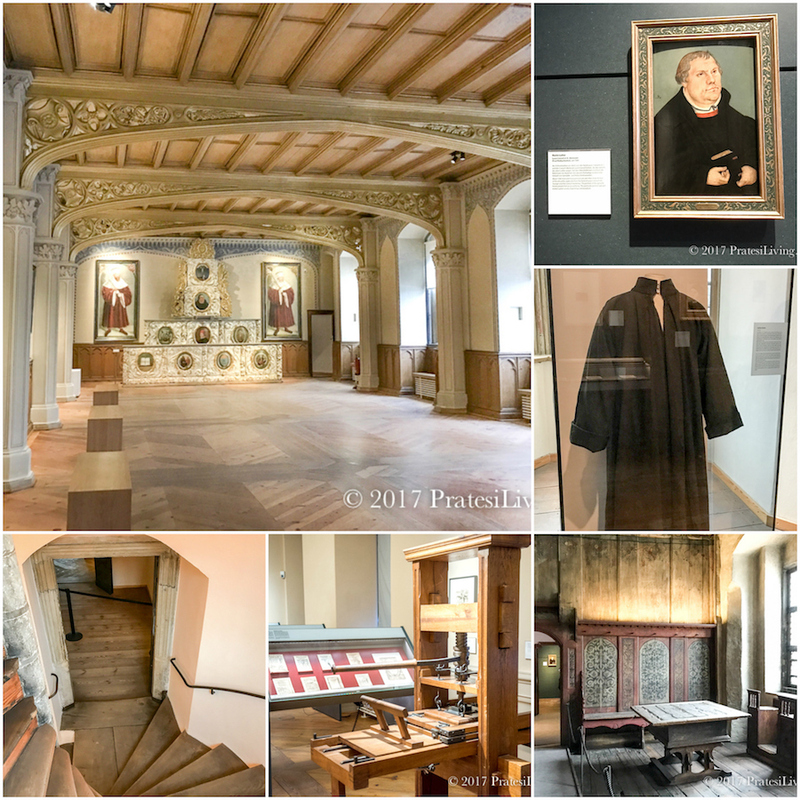 Take several hours to explore Lutherhaus, Martin Luther’s former home and museum where you’ll learn much about the life of this famous theologian and scholar who was responsible for setting in motion a cultural and religious revolution. 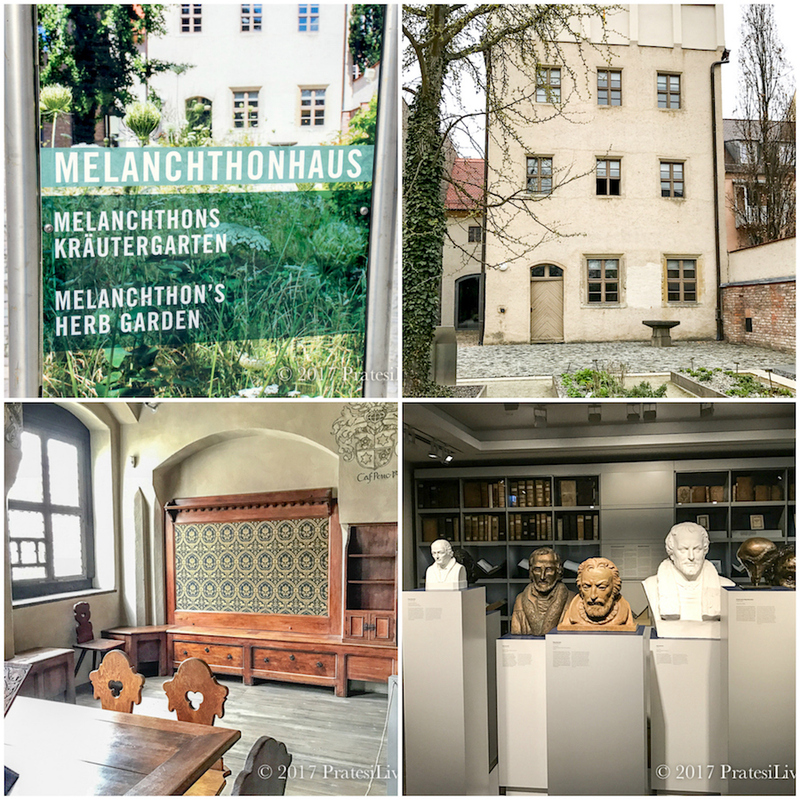 Another noteworthy museum to visit is the Philipp Melanchthon House. Melanchthon was Luther’s intellectual partner and colleague and also played a large role in the transformation of religion and education at that time. 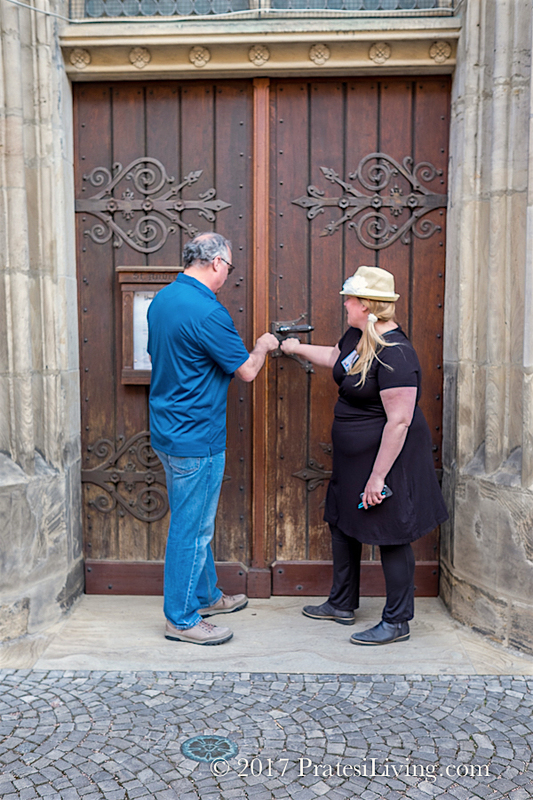 They are both buried in The Castle Church (also known as All Saint’s Church). 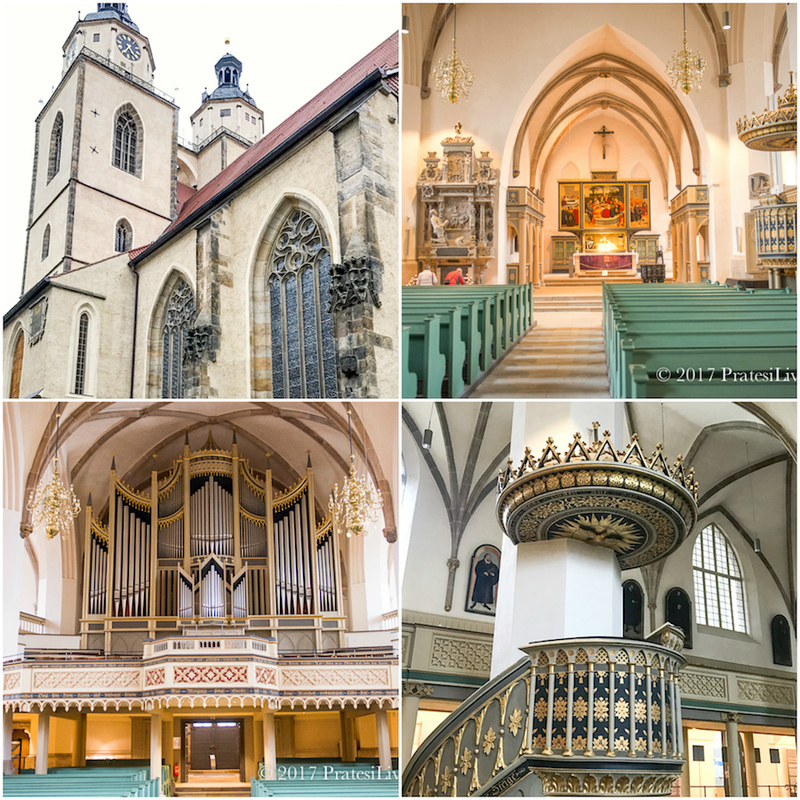 The tower of this imposing church can be seen from almost every vantage point in Wittenberg. 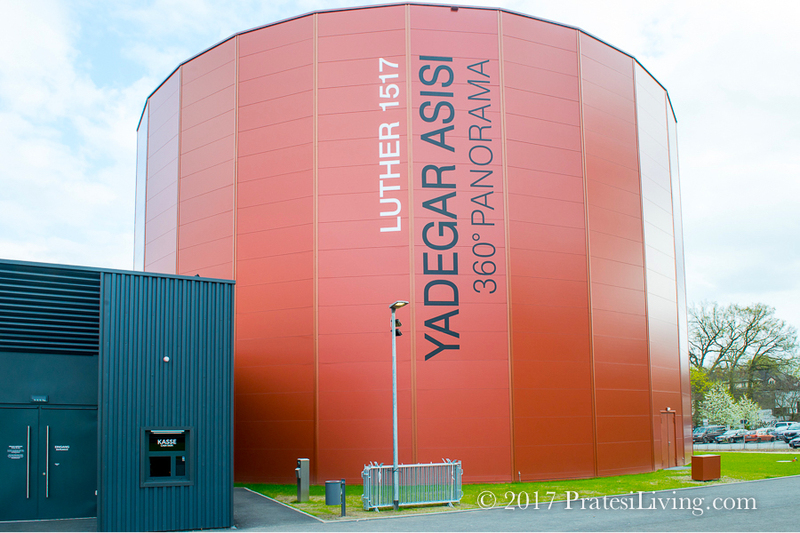 Take time to explore Lucas Cranach’s home and art studio, wander through the Luther Garden just behind the historic part of town, and new for this year is Luther 1517, a 360-degree panorama artwork created by internationally renowned artist and architect Yadegar Asisi. 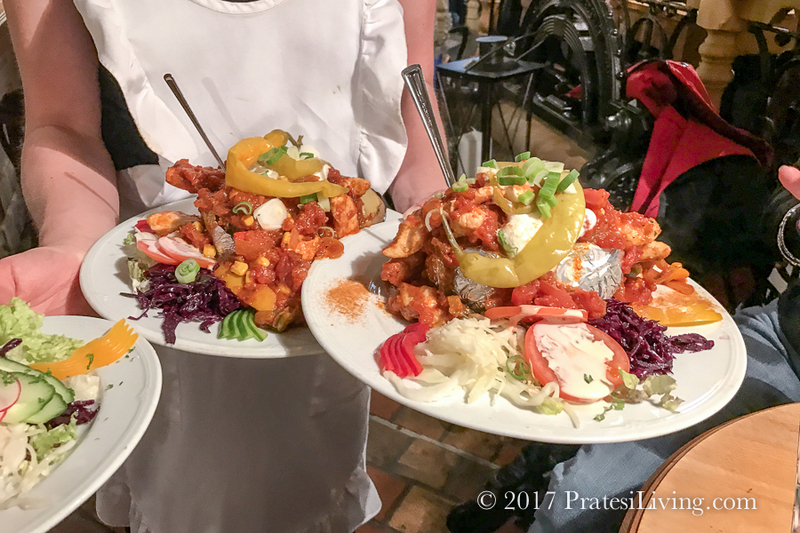 Regional cuisine, which includes traditional bratwurst and pork and sauerkraut, can be found on most menus, especially in hearty portions at the Brauhaus Wittenberg. 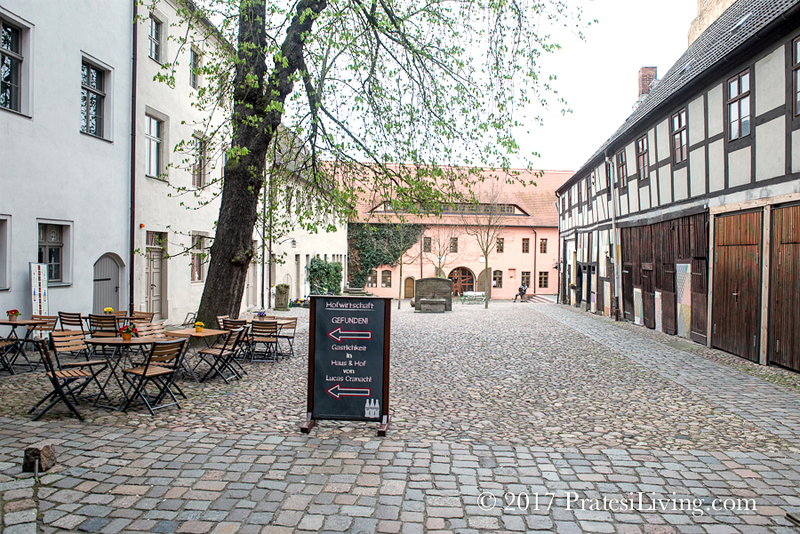 The only brewery in Wittenberg (and they operate a hotel), The Brauhaus is a lively gathering place, particularly outdoors in Der Biergarten in the warmer months. This courtyard, Beyer’s Court, is also home to the famous monument from Renaissance times, known as the “Virgin pipeline.” This tap, built in the 16th century, is still supplied by a spring north of town. 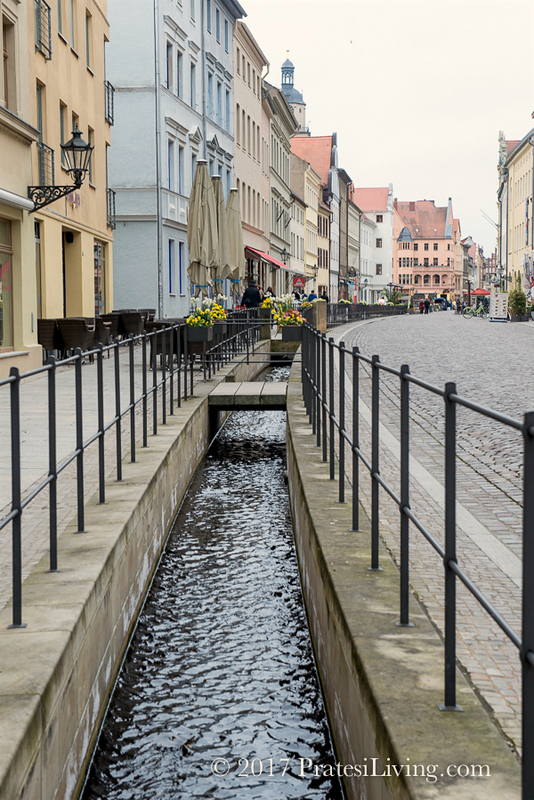 It is the same water source that provided water untainted by the bubonic plaque that swept through much of the town in 1527 and was believed to be carried in the open canals. Another local favorite is Zum Schwarzen Baer. Quaint and cozy, this wood-paneled restaurant with a rustic atmosphere, is known for its excellent food and unique potato-based dishes served in cast-iron skillets. 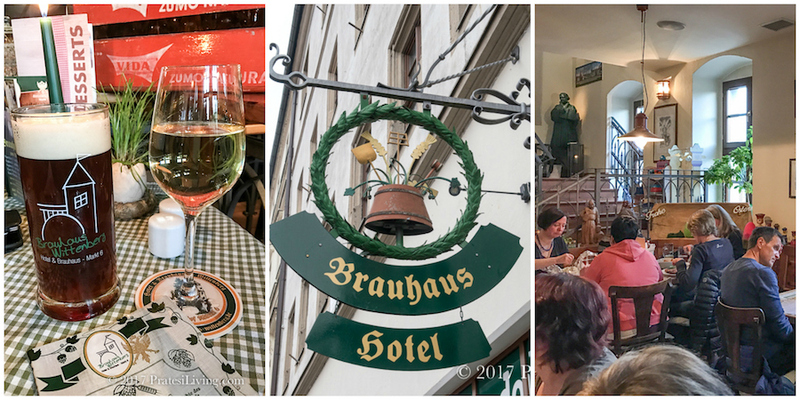 Be sure to sample the local wines on the menu, such as a dry or traditional late harvest Riesling, and one of the Schwarzbier, or traditional black beers. 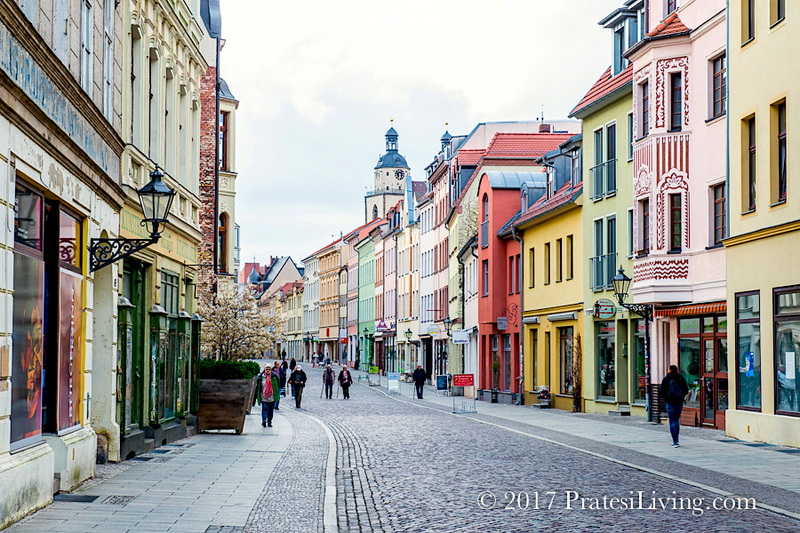 While visiting the city’s attractions may only take a day or two, Wittenberg is a great base to use for visiting nearby Eisleben, another important stop in Luther Country, and Dessau, the home of the original Bauhaus school of design. 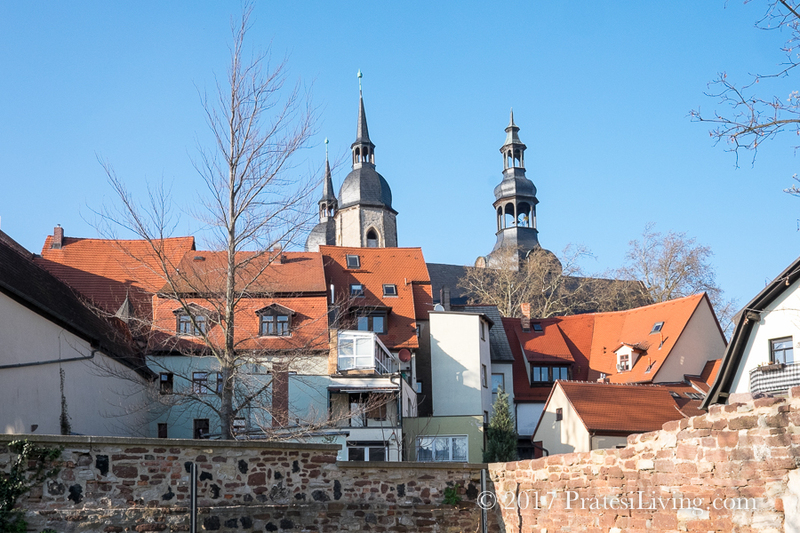 Known as Lutherstadt Eisleben and located between the Harz Mountains and the Elbe River, this is one of the oldest towns in the region and the birthplace of Martin Luther (1483). 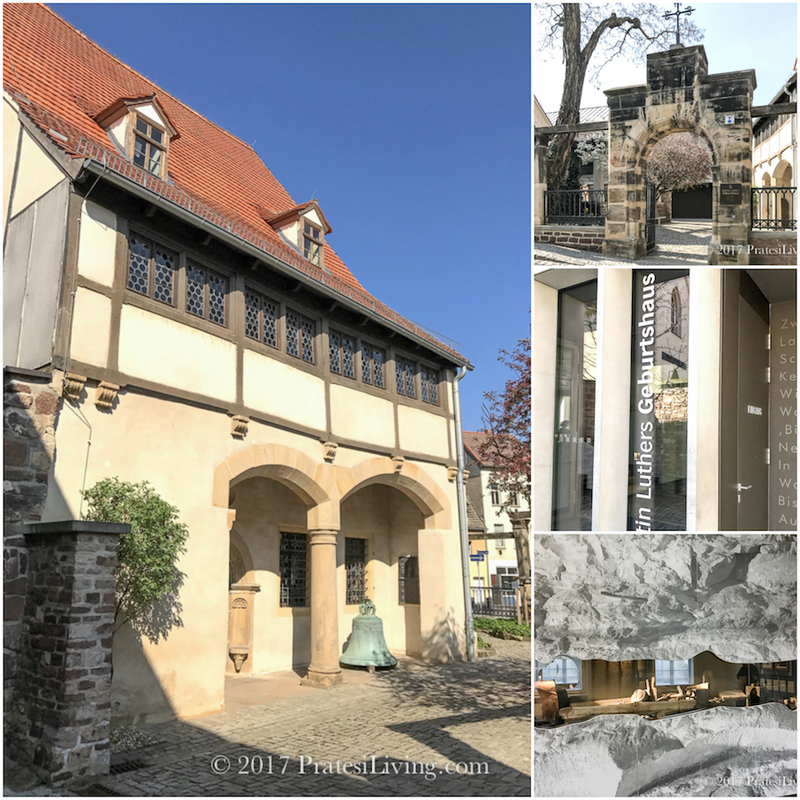 Gaining World Heritage status by UNESCO, it’s also the town where he spent much of his life and then died in 1546, so you can visit his birth house (Geburtshaus) and death house, as well as important churches, such as the Church of St. Peter and St. Paul where he was christened. 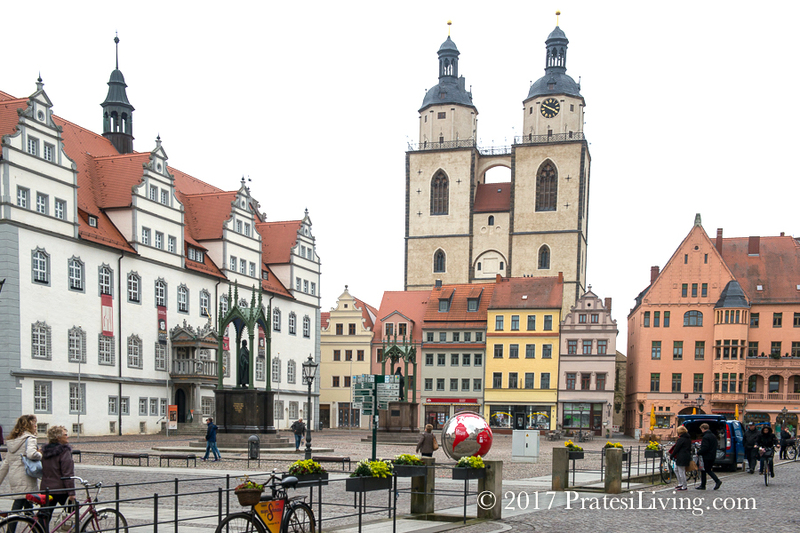 Walk the narrow cobblestone streets of this quaint town and then stop in the medieval town square where a statue of The Reformer Martin Luther presides. 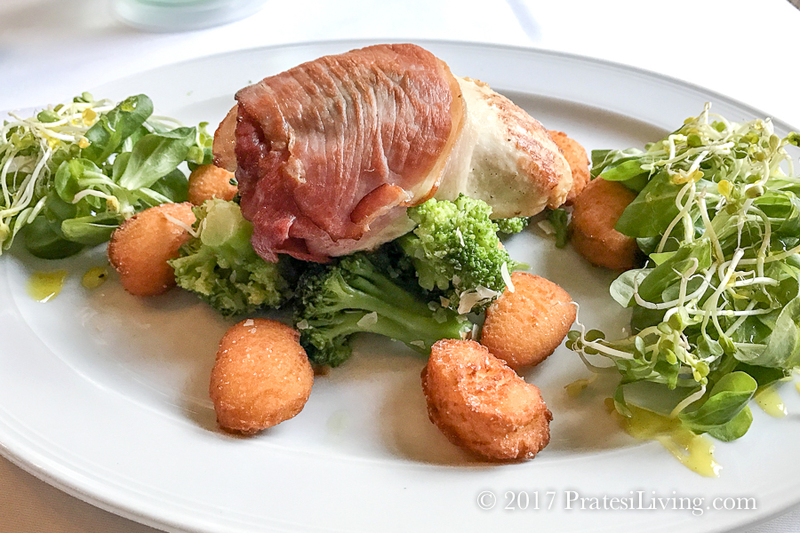 Before heading back to Wittenberg, enjoy lunch in one of the local restaurants, such as the Restaurant Grafenresidenz in Hotel Graf von Mansfeld. If you visit mid-September, make plans to attend Eisleben Wiesenmarkt, an annual event and the biggest folk festival in Central Germany. 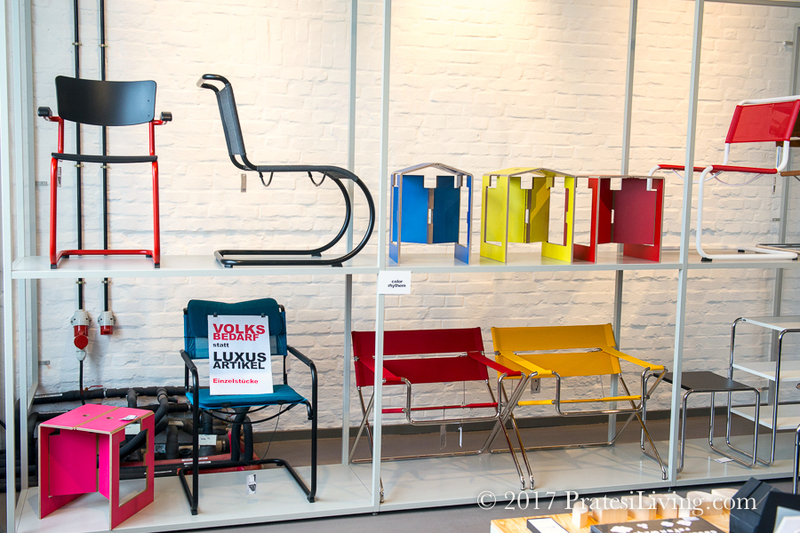 The internationally famous museum of the Bauhaus school of design located in Dessau, just 30 minutes from Wittenberg, is a quirky and interesting excursion. Part of a German modernist architectural movement, architect Walter Gropius developed this school of thought, design, and architecture in the town of Weimar in 1919 with a goal to create what’s known as Gesamtkunstwerk, or a total work of art by combining the fine arts and crafts and design under one roof. Austere in appearance, inside and out, this building was once home to free-spirited students that lived together, worked together, and played hard together. 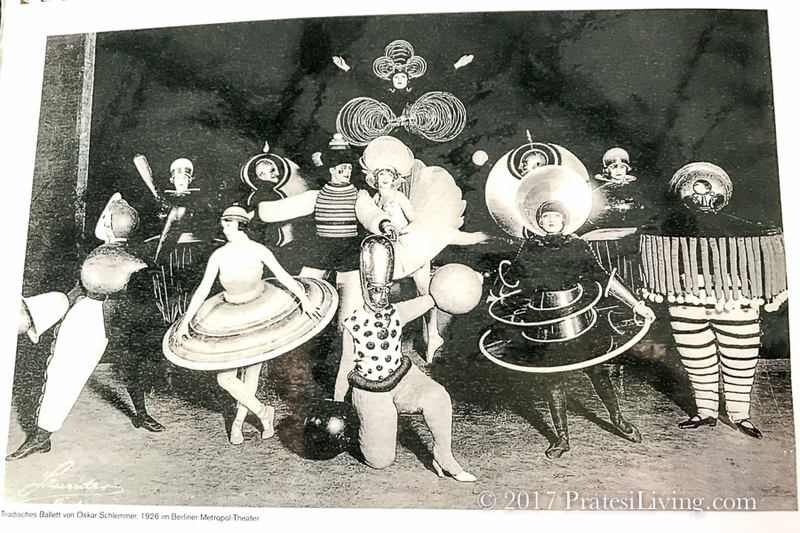 It’s been said that this was the inspiration for the hippie movement or Bohemianism that took place in America’s liberal arts colleges 50 years later. 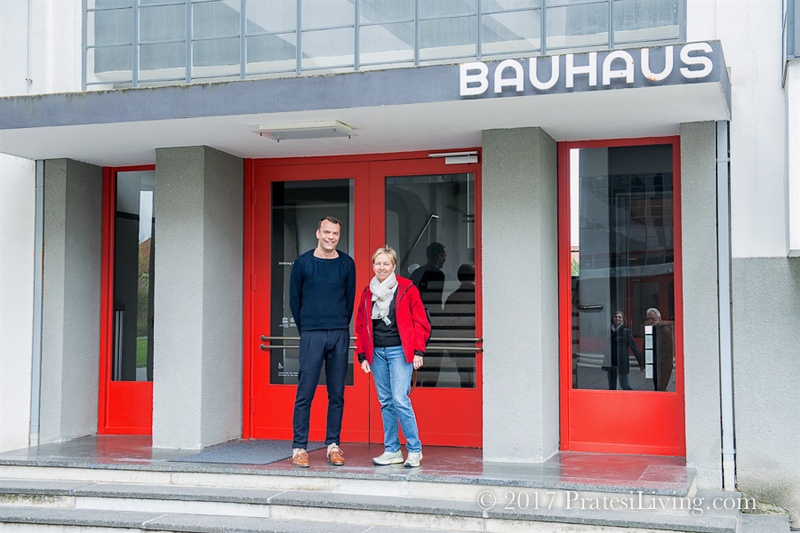 2019 marks the centenary of Bauhaus and a new museum is being built in nearby Weimar. There is also a Bauhaus museum in Berlin, for those interested in this school of thought and modern architecture. 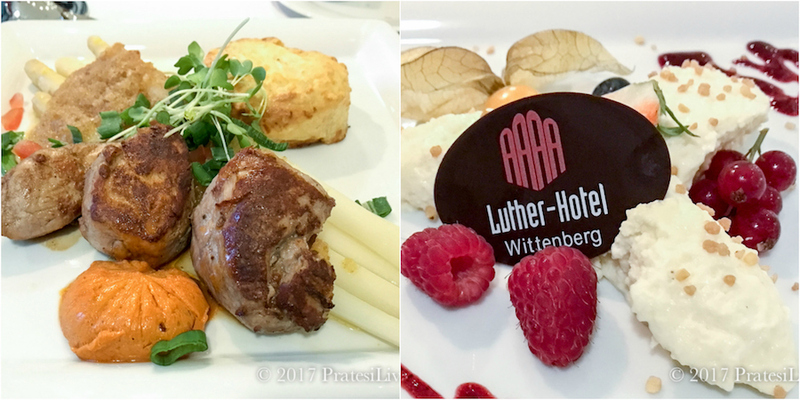 The Luther-Hotel Wittenberg is centrally located in the town center. A comfortable 3-star superior hotel, they offer parking for their guests in a garage, so you can leave the car and walk everywhere in town. (Parking is difficult to come by otherwise.) 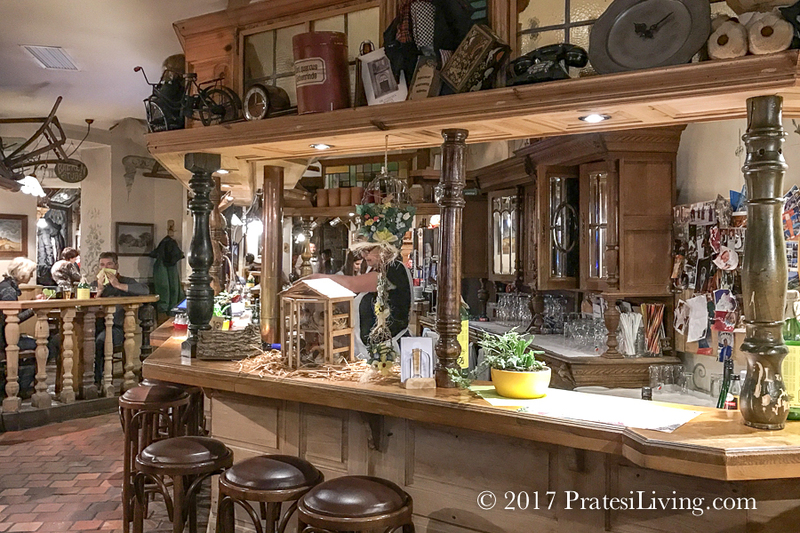 The restaurant serves a traditional German breakfast in the morning with a wide array of savory selections such as meats and cheeses and breads, along with fruit, cereal, and yogurt. We also had dinner at the hotel one evening enjoyed a few lighter dishes (such as fish and less hearty meats) than we found at several of the local restaurants. 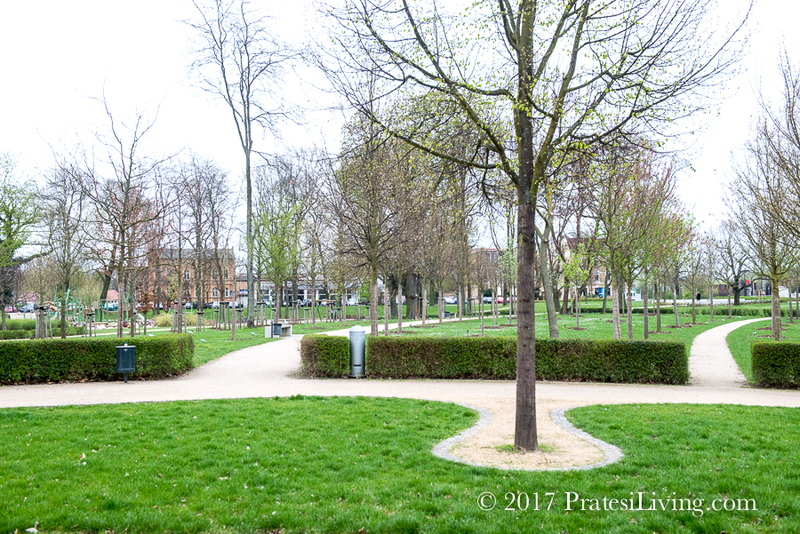 Travel tip – Once you leave Berlin and head into the smaller towns and countryside, many people speak English, but not always fluent English. As a courtesy, and to make your travel through Luther Country go smoothly as planned, it’s a good idea to learn some basic words and phrases in German and to download a free translator app such as Google Translate or a paid conversational app, iTranslate, where you can speak into the app and it verbally translates or you can converse between parties using text. As an alternative, bring along a compact dictionary and phrase book like the ones published by Lonely Planet, Eyewitness, or Rick Steves. You also may want to hire a private guide. 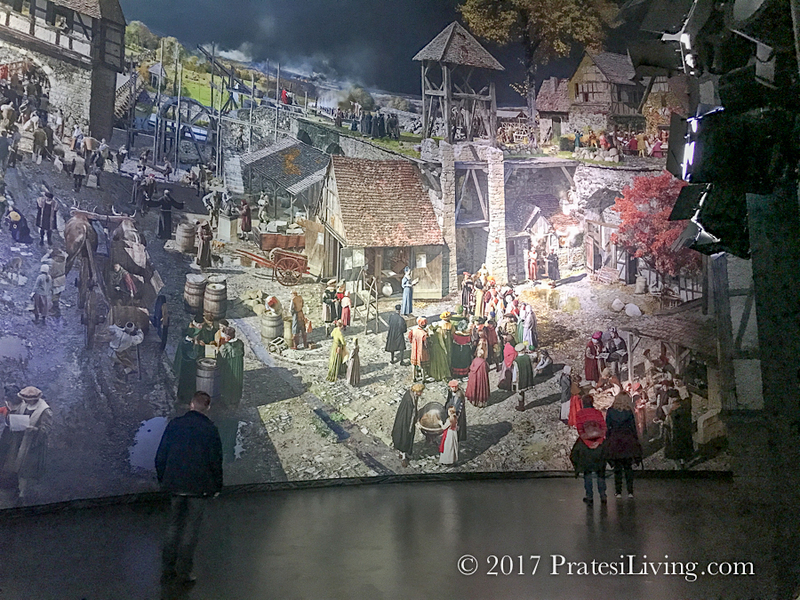 As we wrote in this article, understanding your surroundings and the historical and cultural significance of every place you visit and everything you see, enriches your overall travel experience. If you have any questions about finding a great guide in these towns, we’d be happy to answer your queries. Please send us a message through the Contact form. Look for our future articles about Berlin and the towns and villages on our travels through the former East Germany and Luther Country. Disclosure – We worked with the German National Tourism Board on this trip. The opinions expressed regarding our experience are our own.